The circRTrain Kick-off Meeting was organised as a full-week event from September 4-8, 2017 in Giessen and Berlin (Germany). The circRTrain network partners gathered for the first time since the start of the project in January 2017 to official kick-off the project activities. 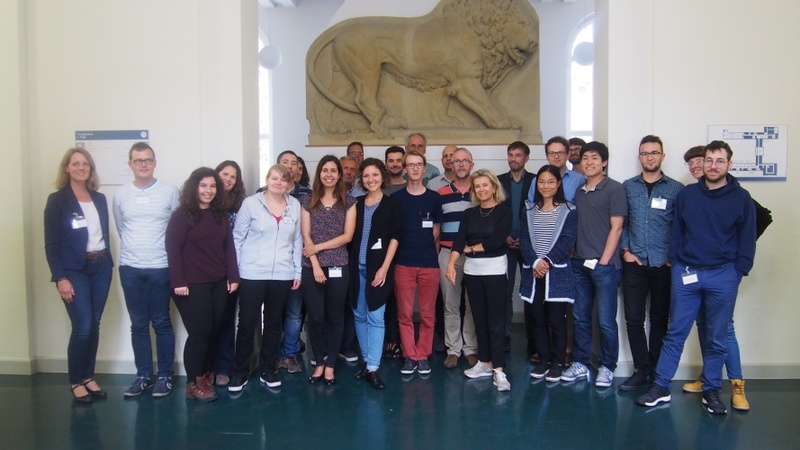 As part of the circRTrain training programme, the young scientists involved in the project, attended the LOEWE Medical RNomics Symposium which was organised and hosted from September 4-5, 2017 by the circRTrain network partner Prof. Albrecht Bindereif from Giessen University. 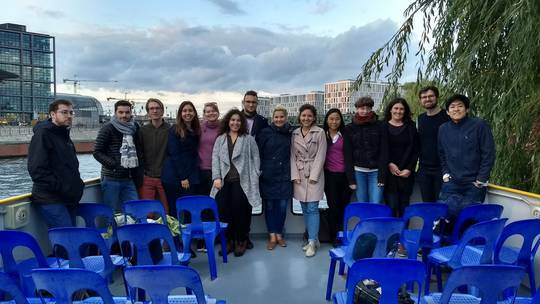 In this setting, the circRTrain PhD students were exposed to ongoing, cutting-edge approaches for integrating RNA biology in medical therapy and received scientific advise from external researcher of the field. In addition, circRTrain network partners gave insights into their ongoing research by providing presentations at the LOEWE Symposium. 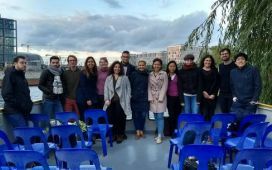 Following the 2-day Symposium in Giessen, all academic and industrial partners contributing to circRTrain came together in Berlin for the 1st network-wide consortium meeting. The project partners introduced themselves outlining their group expertise, ongoing research and their planned work within circRTrain. To ensure a successful project implementation, the work package leaders provided detailed information about the scientific work within circRTrain and discussed the next steps towards future planning. 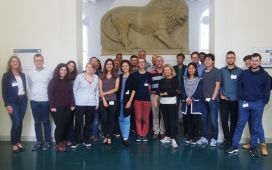 As part of the network’s training programme, the Kick-off meeting was rounded off by a 2-day Transferable Skills Workshop jointly organised by the Max-Delbrück-Center for Molecular Medicine (MDC), responsible for the coordination of circRTrain and the network partner Eurice at the MDC-Campus in Berlin. While the first training day focused on efficient time and project management the second training workshop introduced the young researchers to Intellectual Property (IP) basic concepts and existing practices and processes related to IP management. circRTrain is funded by the Marie Skłodowska-Curie Actions Innovative Training Network (ITN) of the European Commission in the Horizon 2020 program with a budget of € 3.8 Million. It started on January 1, 2017 and is running for four years. The mission of circRTrain is to provide cross-disciplinary training in experimental and computational biology for a new generation of researchers who will exploit the power of emerging technological platforms to decipher the biology of circular RNAs. Eurice supports the coordinator (Prof. Nikolaus Rajewsky, Max-Delbrück-Center for Molecular Medicine) in the management of circRTrain and provides IPR training and guidance as part of the network training programme.